Xbox Game Pass gives you access to a massive library of games that’s updated each month for a single, monthly $9.99 fee. You can play Xbox One and Xbox 360 backward compatible games right on your Xbox One; and you also get access to Xbox exclusive titles, like Sea of Thieves, Forza Horizon 4, and State of Decay 2 the day they launch. For a limited time, there's a 14-day free trial on offer so you can test the waters. Or if you're ready to roll, a 18% discount on a yearly membership! The offer expires Sunday, Sept 30. Xbox Game Pass is an all-you-can-game membership, that relies on the way that people are starting to digest media more and more. Typically, streaming games comes with a set of unique challenges, like being able to connect smoothly and have an enjoyable, uninterrupted experience while gaming. 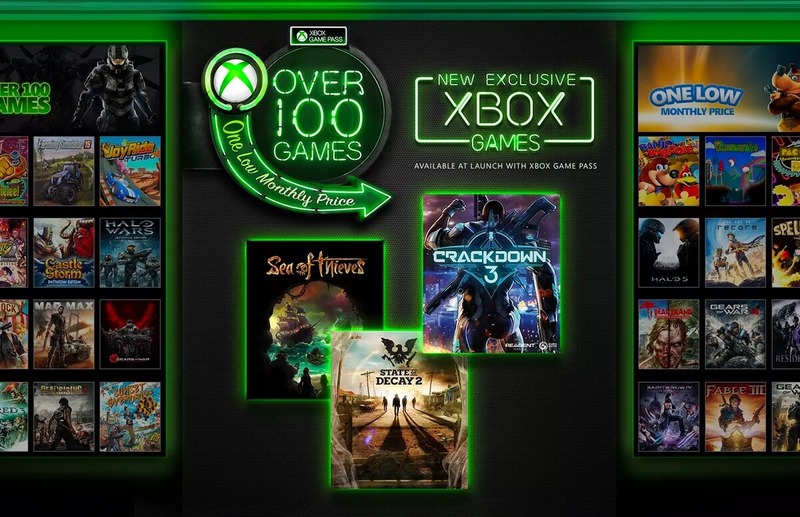 Xbox Game Pass allows users to choose from a large library of games and bypasses connectivity challenges by letting users download the games to their consoles or external storage devices. This model opens up exciting opportunities for a cloud-based gaming future. Xbox Game Pass is now available in more than 40 countries and all members get instant access to blockbuster games including massive upcoming hit games like Halo Infinite, Forza Horizon 4, Gears of War 5, and more. Xbox Game Pass is a step towards liberating consumers and gamers from the usual trappings of buying video games and consoles — meaning customers get to discover and explore more games for less. It’s actually changing gaming habits, and allowing people to game more, even if that’s games outside of the Xbox Game Pass library. The higher number of active players and player communication means more networks of gamers who talk to each other about new games, and are more willing to spend money on a new game with a built-in team they’ve already started to play with. It’s also an exciting opportunity for smaller gaming developers, who can use the platform to release their games — and a great chance for players to explore more indie games without any financial risk or reluctance. Instead of trying to win over a gaming console market, Microsoft is looking to create more value for the entire gaming ecosystem by changing the environment that players are accustomed to. This upcoming year promises new improvements and even more games, as Microsoft moves into fully realizing the first elegant solution for on-demand gaming. This is a sponsored post brought to you in collaboration with Microsoft Xbox.